I'm delighted to welcome Elizabeth Boyle to the blog today. I've been a fan for years and enjoyed her new book, If Wishes Were Earls, immensely. 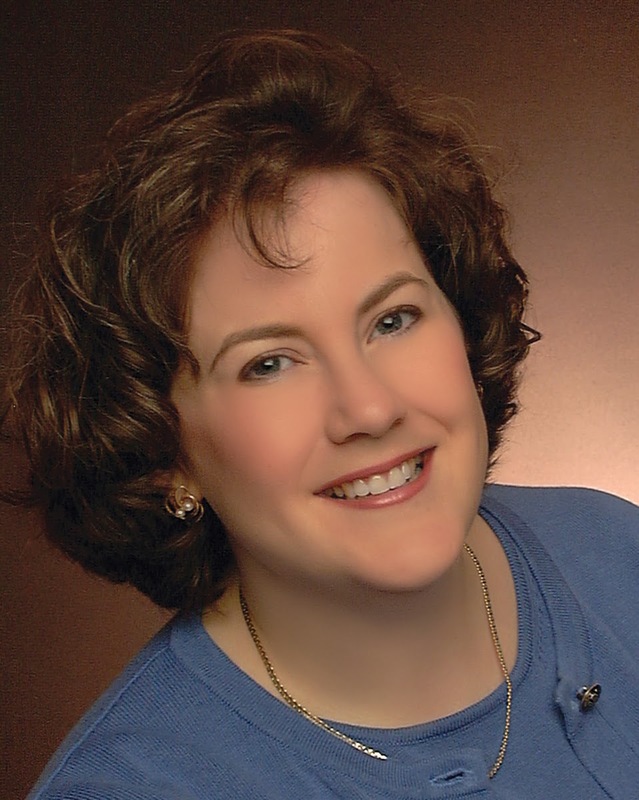 Elizabeth is the author of 22 Regency set historical romances including her latest release, If Wishes Were Earls. When not writing, she is gazing at Puget Sound from her home in Seattle, herding her family (which is much like herding feral cats) and letting her imagination roam through the glorious world of Jane Austen. For more information about her historical romances, visit, www.elizabethboyle.com. 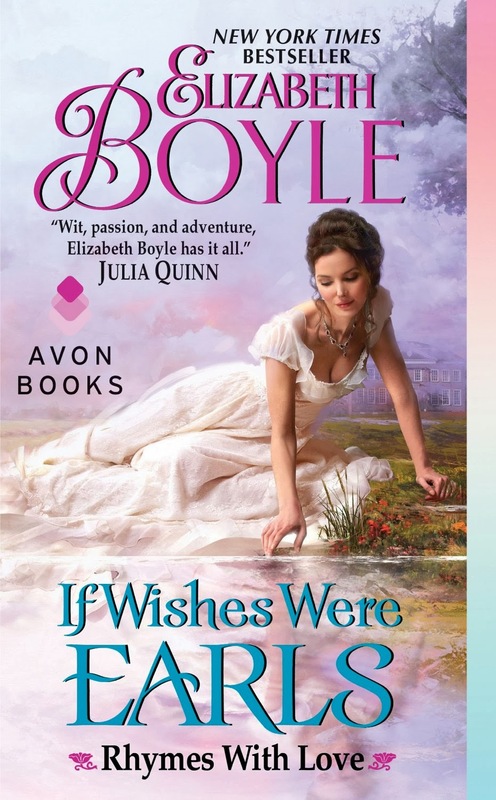 To read Janga's review of If Wishes Were Earls, click here. Please give Elizabeth a warm welcome! I sort of felt sorry for Harriet Hathaway, the heroine of my new book, If Wishes Were Earls. She was convinced the Earl of Roxley would do the right thing after one particular night when things got, shall we say, rather scandalous, but its been eight months since she’s seen hide nor hair of the man, and believe me, Harriet is not one to wait idly by. Well, if I was her, I wouldn’t be waiting around for Roxley. I’d get out and see the sights of London, that is before I asked one of my six brothers to hunt the varmint down and make him come up to snuff. And what would I go see? First stop? Almack’s. Because who wouldn’t want to attend an evening ball with only the best of society. Oh, sure the lemonade is watered down and warm. The cakes are stale. But the men? Are in breeches. Say. No. More. Next up? Bond Street. Girlfriend, when your heart is breaking, girls go shopping. I’d gather up Harriet and we’d go get new gowns, hats and gloves and shoes, and shop until our footman topples over under the weight of our packages. After ices at Gunter’s, we’ll skip over the obvious choice of the Tower—really who wants to see a zoo of underfed and caged animals? Instead, I would take Harriet to see Elgin’s infamous marbles. If you can’t see Roxley’s form naked, might as well gaze upon the next best thing. Tonight? The theater. Hello?! It’s London. Harriet, stop moping, we are off to see Grimaldi clown about. There were new plays and operas and pantomimes all the time. No need to fear seeing a rerun. And the theater is also the place to see and be seen. Rundell & Bridge. I know we went shopping earlier, but this is serious shopping. Besides, diamonds are a girl’s best friend. I’ll take that pretty ruby bracelet intended for some man’s courtesan, thank you very much. I loved Elizabeth's travel plans. I would like to go to Almack's and Gunters, and of course see Buckingham Palace. I'm with Elizabeth's plans as well. But I think I'd hit Gunter's first. :) Then on to Hyde Park and all those gorgeous men riding about. But in this day and age I'd also want to see Buckingham Palace. Bond Street would be a grand day of shopping.I love Elizabeth's stories and look forward to the newest "If Wishes Were Earls". I'm with you, Carol. Definitely hit Gunter's first! Congratulations to Elizabeth on her new book! It would drive me crazy to wait around so I would start with shopping because that would make me feel better to have some new things. I'd like to see the Chrystal Palace. This was featured in one of Adele Ashworth's books. I'd love to see the famous Elgin Marbles and visit Vauxhaul Gardens. I'd also want to sneak into one of the Gentleman's clubs like Whites! I'd have high tea at a fancy restaurant too! Congratulations, Elizabeth, on your new release. I have added this one to my TBR pile. I do not like to shop for clothes, so I would skip that part of the tour. and anything else that might pop into my head at the spur of the moment. I'll join you on that carriage ride, Deb! As London is one of my top 3 cities in the world, I have a lot of options. I totally agree with the Elgin Marbles. I go to the British Museum on every trip to London and always stop for a long view of the Rosetta Stone and then to the hall with the Marbles. The British Library is another favorite. Their collection of historical books is wonderful and changes out on a rotational basis. I have seen handwritten lyrics from John Lennon, Shakespeare's writings, Jane Austen's writing and a lot more. Covent Gardens is fun, too. If you are there in the spring, summer or fall, Hyde Park, Rotten Row and the Serpentine are fabulous places to walk through. Kew Gardens is nice, and although not there during Harriet's time, the Victoria and Albert Museum is fun as well as the Opera House. Elizabeth does indeed have a plan lined up that appears to hit up all of the important stops. As I have been lucky enough to visit London, all I can add is that visiting as many bookstores as possible is a must. Hope the footman I take with me is a burly guy because he will be using those muscles to carry all of the books I will be buying! I’m certainly looking forward to reading “If Wishes Were Earls” and congratulate Elizabeth on her new release. Hope you enjoy the book, Connie. I loved it! I have been to London and absolutely loved it! If I were "waiting" I would visit some places I missed the first time. Windsor Castle( who knows? I might snag a royal! ), the theater, and maybe a side trip to Bath. I like the way you think, Cheryl! Oh there would be so many places to see but if I really wanted to take my mind off of something, it would just have to be a book store lol. Love her books! Congratulations on the new release. Gunters would be a must-see destination. Who can pass up ice cream? Also, Tattersall's to see the best horses and the Tower of London to see a part of history. Congrats on your new release. I would love to read this one. I have been hearing a lot of good things about it. I would love to go about anywhere. I do my traveling in my books. The shopping, ices, shopping, theater, shopping and a visit to the British museum to see the Elgin marbles sounds wonderful. I've been to London few times - I see as many shows as I can fit in, love the museums, do a bit of shopping, love a ride on the river, wander thru the parks - and would have to check out Buckingham Palace! I am with you, PJ. I would let Elizabeth be the trip planner. I am not familiar enough with London (old or new) so would not be sure what the "must not miss" stops would be. I would add trips to all the wonderful museums. I like the sound of IF WISHES WERE EARLS. I'll be looking for it. Ohh I'd go all those places! I'd love to take a turn through Hyde Park first and then a stop off at Gunter's and end up either at Almack's or Covent Gardens at the end of the night. That sounds like a fabulous day! !